CAMEROON - The two weeks that I spent in Cameroon on assignment for AES were packed full of adventures both large and small. For three days of this trip I was fortunate to be a guest of the King of Bafut, a kingdom in the western part of the country. 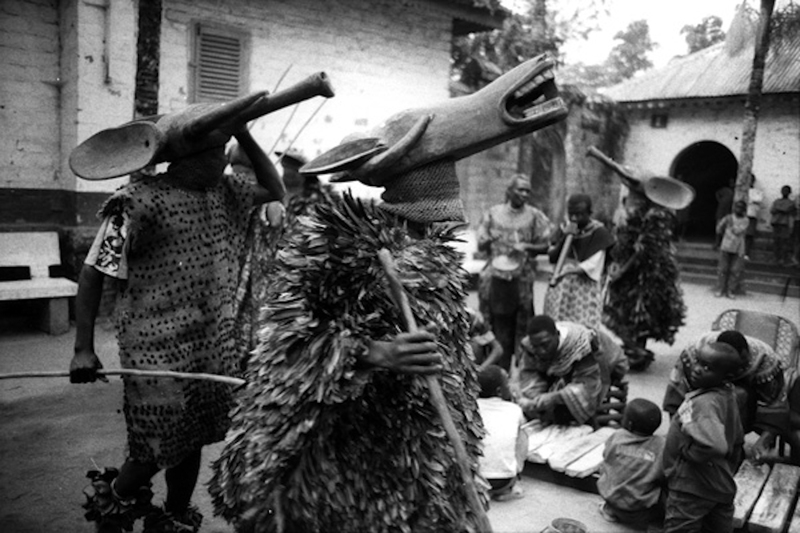 This photograph is taken from a series of images documenting traditional dancers performing in the courtyard of the royal palace. The king was seated on his throne directly behind me.